As Turkey's president wrestled for control of his nation Friday night, he claimed the military plot to remove him from power was being orchestrated by a foe living in a sprawling compound in Pennsylvania's Pocono Mountains. "Turkey can't be run from Pennsylvania," President Recep Tayyip Erdogan told supporters after arriving to Istanbul early Saturday morning, local time, as soldiers appeared to square off with police and civilians across the country in an attempted military coup. Erdogan and his supporters allege that sympathizers of Islamic imam Fethullah Gulen are carrying out the coup that began about 10 p.m. local time Friday night. Explosions and gunfire were reported in Istanbul, the country's largest city, and Ankara, the capital. 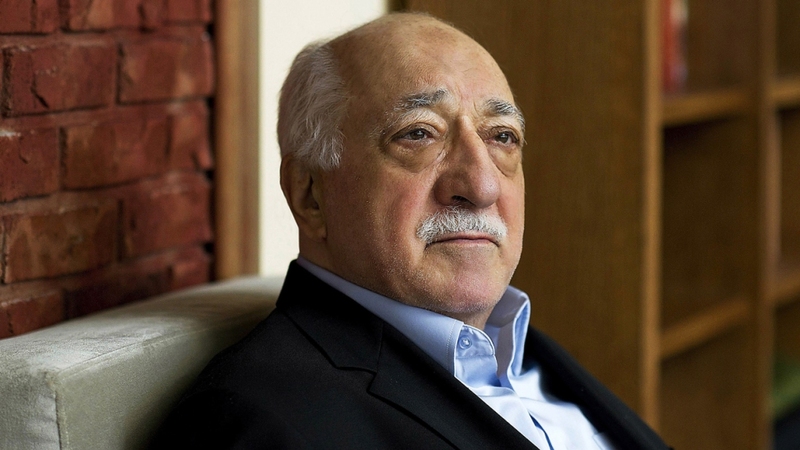 Gulen, 75, fled his home country in 1999 after being charged with treason. He settled in the small town of Saylorsburg, Pennsylvania, about 90 miles north of Philadelphia. The 26 acre compound has several single-family homes and a large complex resembling an apartment building. An aerial view of the Saylorsburg, Pennsylvania compound where Fethullah Gulen lives. He moved to the United States in 1999 to escape treason charges. At least a dozen people could be seen moving about when NBC10 Philadelphia's helicopter flew over the property Friday afternoon. In the apparent coup that began about 10 p.m. Turkish time Friday, military members occupied government offices, shut down bridges and took over broadcasters as they carried out the attempted takeover. Explosions were heard in Ankara and gunfire could be seen from helicopters and fighter jets. Erdogan was elected by the people to serve as president, which is usually a more ceremonial role to the prime minister in the country's parliamentary system. But Erdogan is accused of consolidating power and taking a more autocratic approach in his position. He is also a former prime minister and has long accused Gulen of trying to overthrow the government. Gulen denied involvement in the attempted takeover and a statement released by an affiliated organization, the New York-based Alliance for Shared Values, said he condemns the use of force. "For more than 40 years, Fethullah Gulen and Hizmet participants have advocated for, and demonstrated their commitment to, peace and democracy. We have consistently denounced military interventions in domestic politics. These are core values of Hizmet participants. We condemn any military intervention in domestic politics of Turkey," the statement read. The Erdogan regime has carried out a purge of civil servants suspected of ties to the movement, seized businesses and closed some media organizations. Gulen was tried in absentia earlier this year. An aerial view of the Saylorsburg, Pennsylvania, compound where Fethullah Gulen lives. He moved to the United States in 1999 to escape treason charges; Turkish President Recep Tayyip Erdogan alleged on Saturday, July 16, 2016, that Gulen orchestrated an attempted coup from Pennsylvania. Gulen has been well-known throughout Turkey for more than five decades for promoting a philosophy that blends Islam with strong democratic ideals, education and religious inclusion. Supporters opened 50 charter schools across the U.S. designed to share his teachings. Allegations of financial mismangement and visa fraud led to an investigation by the FBI and a lawsuit, which is currently pending. The cleric spends most of his time in seclusion at the Pocono compound, engaging in prayer and meditation. An Associated Press reporter was granted a tour of the complex earlier this year, but was not granted an interview with Gulen.